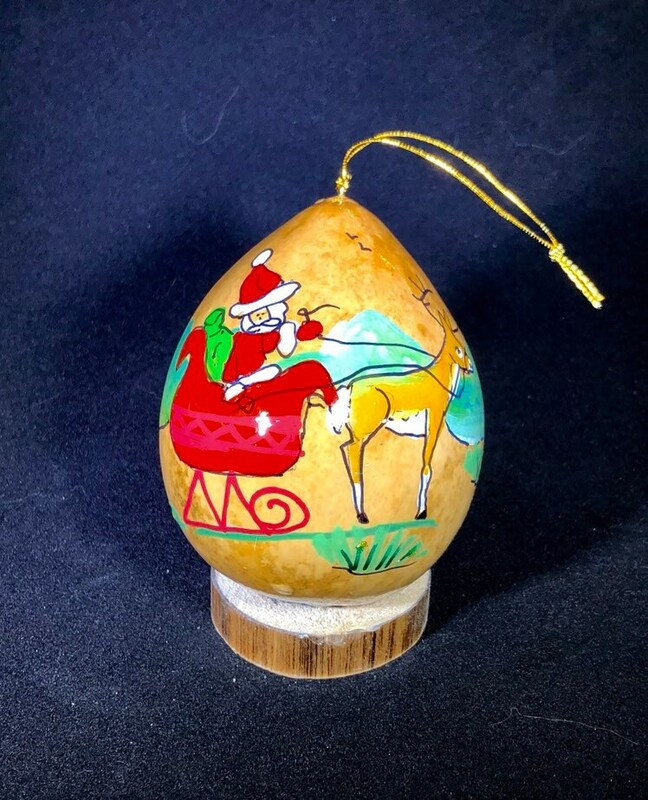 Santa sleigh -Hand painted gourd ornament, Hand-Painted Gourd Christmas Ornament by artist Sandy Short. handpaintedgourds.com Gourd art. St Francis cathedral in Santa Fe, NM ornament Hand painted gourd ornament, Hand-Painted Gourd Christmas Ornament by artist Sandy Short.